The Centre along with the AMU had challenged a verdict of the Allahabad high court. 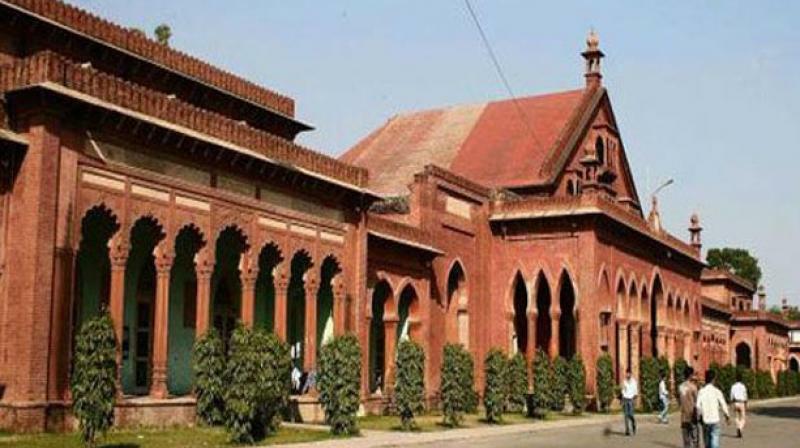 New Delhi: The Supreme Court on Tuesday referred to a seven-judge Constitution bench to decide the issue whether Aligarh Muslim University (AMU) can claim minority status and to go into the correctness of an earlier decision by five judges rejecting the minority status granted to AMU. A three-judge bench of Chief Justice Ranjan Gogoi and Justices L. Nageswara Rao and Sanjeev Khanna accepted the arguments of senior counsel Rajeev Dhavan for AMU and referr-ed the matter to the larger bench for defining the parameters for grant of minority status to educational institutions. Even as the appeal was pending, the Narendra Modi government sought to withdraw the appeal on the ground that the high court verdict would be implemented. However, the AMU urged the court not to allow the Centre to withdraw its appeal against this verdict. The Centre in its affidavit made it clear that since AMU was set up by a Parliamentary enactment, any such special privilege on religious grounds would be contrary to country’s secular policy.